From 1988 to 2000, I settled in Zürich, Switzerland, and attended international school, where most of my studies centred around languages. In the first ten years of study, I was the only student from Mainland China in the entire school. Whilst in high school, I completed 11 IGCSEs, as well as APs in topics including English (International), German, and US History. I was able to travel extensively across Europe, visiting all countries bordering on Switzerland, as well as the UK, Ireland, and several Mediterranean countries; I also visited Singapore, Australia, and the United States. Some of these trips took the form of a trip organised by the school. In school in Europe, I was highly active. I took part in the school choir, held a leading role in the yearbook, and was a major assisting organiser of the school’s 1997 Arts Fest. I also had my column at the Secondary School Bulletin Board. In high school, I hosted a number of school-wide assemblies (on a “rotating host” basis) for the entire school. When I got my diploma at the end of studies, I delivered the speech at graduation (along with other fellow students). Switzerland for twelve years leaves behind not just a change in papers, as what happened to me upon naturalisation in 2000. It also leaves with you a change, for good, in the way you do things. Just like in German-speaking Switzerland, you almost automatically spot even the most minor of all violations of the law, and you are pre-programmed to keep backups of every last shred of paper — photocopied or digitised — just in case anyone, from a shopkeeper to a customs officer, needs to see it. You also automatically insert “have a nice weekend” bits in emails, not bother anyone (except very close friends) on Sundays (more than once have I told my wife I will not call a colleague on Sunday “because it’s not Swiss”), and you feel guilty if you have to take a bath after 22:00 in anywhere in or outside the Alpine republic. Finally, you try to adjust your sleeping pattern to 22:00–05:00, because everyone in the old city of Zürich does it — but also elsewhere, especially in the Deutschschweiz! 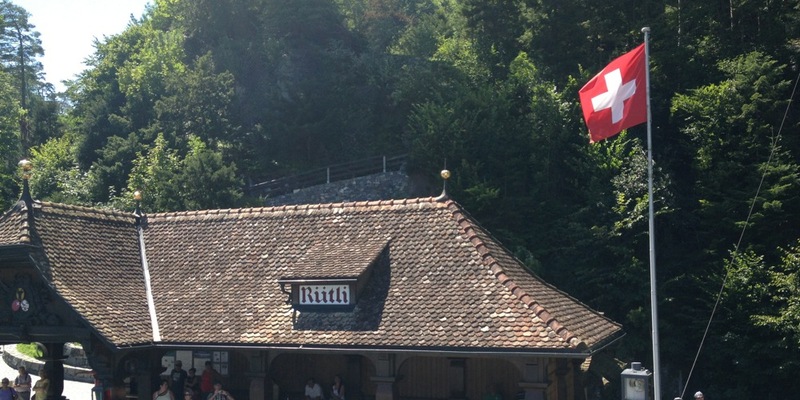 In an increasingly internationalised world, people “melt in” to their surroundings, and because the Swiss themselves were “merely” a mix of German, French and Italian speaking people, little else other than the national flag and the Swiss national football team might be seen as “unifiers” of Switzerland and its people. And yet I see bits of Switzerland in the wider world all the time — be it watches, fonts, or simply outright good food (and it’s not “only Fondue”!). At times I let the “Swissness” become a “background process”, brought only to the foreground when it comes to those moments that matter: crossing borders, splitting the carton bits from the yoghurt bowl, writing dates and times in emails (24-hour clock always in use! ), or when we have the ballots sent from Zürich to anywhere from Harrow to Chaoyang. At other times, it becomes part of me the moment we cross the border back into Switzerland, when I seek perfection onstage, or when I meet one of my own anywhere — be it London, Beijing, or some other city. I will continue to deepen, my involvements in the Swiss communities around the world, with a particular focus on China, especially in Beijing, but also across the country as a whole. Zürich and Beijing will continue to be my “duo homes” of equal importance. I am presently active and a contributor to the Newly Swissed site, sprinkled with healthy helpings of Switzerland-related posts and comments.